A study by three researchers at Columbia University, published in the American Behavioral Studies journal, suggests that classroom behavior problems may be an even more significant factor than family income on students’ test scores, as early as kindergarten. The researchers used data from the U.S. Department of Education’s 1998-1999 Early Childhood Longitudinal Study to sample and track more than 14,000 kindergarten students across nearly 900 private and public programs. Students were rated on two factors, attention skills and aggressive behavior. They were also identified by their socioeconomic statuses, race and gender. The authors analyzed the reading and math scores of students within each group. Students with attention problems had the lowest scores of all four groups, scoring 8 points lower on a 100-point math exam and 7 points lower on a 100-point reading exam. In classrooms with students who had attention problems, other students were also negatively impacted; a higher proportion of those students’ reading and math scores averaged 5 percentile points below average than in classrooms without students who had attention problems. The researchers also found that children with attention problems were slower to adopt new material in reading and math. That suggests that addressing attention problems in early childhood could help children improve academic progress throughout their school careers. “New interventions…are suggesting that we can help preschool and early elementary school children do a better job at self-regulation and attention." The study found that students who demonstrated aggressive behavior were substantially less disadvantaged academically than those with attention problems. Aggressive students’ scores were only a few points behind those of students with no behavior problems: 2 points lower in math and 3 points lower in reading. Students who had both attention and aggression problems scored roughly as low as those students who only had attention problems. In all cases, the researchers found that these results were independent of socioeconomic status, race or gender. Moreover, the study did not show any negative test-score effects on the classmates of aggressive students. This does not mean aggression issues should be ignored. Research has shown that these issues tend to lead to other problems later in life. Given that the authors of this study found attention problems can lead to a dramatic disparity in exam scores, the practical applications of this study are substantial. 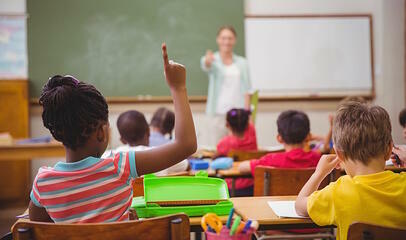 The researchers conclude that “it makes sense to align teacher training and school intervention to foster children’s attentive behavior.” While academic support such as tutoring and mentoring, can bolster a student’s academic achievement, attention proves to be a major hurdle to any educator working with these students. Helping these educators diagnose and correct attention problems in the early grades could give those children a better chance for high academic achievement and, ultimately, help them succeed later in life. For more information on how Chicago Academic tutoring can help your child, contact us immediately.